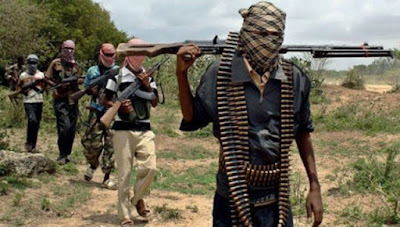 It was a killing spree by unknown gunmen yesterday in Plateau. Unconfirmed reports put the number of people killed at more than 100.The attacks, said to have started at about 11:00 p.m., occurred in the three local government areas of Barkin Ladi, Riyom and Jos South, and are reportedly ongoing.State governor, Simon Lalong, cut short his attendance of the All Progressives Congress convention in Abuja, and has imposed a dusk-to-dawn curfew on the areas, inhabited by the Berom ethnic group. The member representing Barking Ladi at the state’s House of Assembly, Peter Gyengden, said about 170 people lost their lives.But Mr. Francis Chung, the national president of Gashi Development Association in Barkin Ladi, said he counted 139 dead persons. He said the state’s Special Task Force (STF) stopped further evacuation of corpses to the headquarters of Barkin Ladi, to avoid an escalation. According to him, the attackers, numbering about 100, wore masks. The Guardian confirmed no arrests have yet been made over the killings.Mr. Joshua Gwom, a community member in Barkin Ladi, told journalists that one Musa, a pastor with the Assemblies of God Church, his wife and granddaughter, were killed. The incident happened at Gana Ropp, near Bethany Christian Academy in Barkin Ladi.The member representing Riyom constituency at the House of Assembly, Daniel Dem, said nine people were killed in Riyom.The Chief Press Secretary to the late former Deputy Governor Michael Botmang, Mr. George Pam, noted that attacks were still going on at the time of filing this report, and that they had already spread to the Vom and Bukuru areas. Lalong commiserated with the affected people, especially those at Akwatti in Barkin Ladi and Mangu Halle.A statement by the Commissioner for Information and Communication, Yakubu Datti, said government was deeply pained that despite efforts made to restore peace across the state, some unpatriotic elements were overturning gains.He said the government condemned the attacks and that security agencies had been mobilised to deal with the situation and restore normalcy. Government holds every single life sacred and has mobilised medical and relief agencies to meet the immediate needs of the people, he said.He appealed to citizens not to take the laws into their hands but cooperate with security agencies to prevent further breakdown of law and order. He also urged them to report suspicious movements or persons. The state police spokesman, ASP Mathias Terna Tyopev, however, said only 11 corpses were recovered at Gashish village in Barkin Ladi, urging people to disregard the high figures flying around on social media.The spokesman of Operation Safe Haven (OPSH), Maj. Adam Umar, confirmed the incident but refused to disclose any casualty figures.He said the sporadic shooting by the attackers had attracted his men who quickly mobilised to the scene. He said while the soldiers were busy repelling the first attack, another broke out elsewhere simultaneously. The Transition Management Committee Chairman of Barkin Ladi Local Government Area, Mr. Dickson Chollom, called on the Federal Government to stop the killings occasioned by farmers-herders clashes.“Lives of innocent persons are being wasted by the incessant clashes between farmers and herders in my council. If nothing drastic is done to curtail these crises that have held my LGA hostage and put us in perpetual fear and hopelessness, we shall be in serious problems next year,” he said. He disclosed that Thursday, last week, unknown gunmen wiped out a family of four, as they slept, while hoodlums attacked a vehicle. “As we talk, the whereabouts of the three persons travelling in the pick-up van are not known, or of the security operatives who were combing the area looking for them. The herdsmen and farmers are both harbouring and tolerating criminal elements living among them. The situation is beyond my power. It is a national problem, which I alone cannot handle.”Chollom said he had held meetings with both parties to no avail. Tyopev confirmed the attacks on the pick-up vehicle, saying 11 people were feared killed in the incident. “We (the police) are on top of the situation. We are trying to trace the missing persons and avoid any further breach of the peace,” he said.He said no arrests had been made but added that investigations were ongoing to ensure the perpetrators were apprehended. Abubakar Gambo, the Secretary of Barkin Ladi’s Miyetti Allah Cattle Breeders’ Association (MACBAN), also called on government to intervene in the crises between his people and the Berom.He alleged that unknown gunmen were killing his fellow herders and rustling their cows. “We believe that until something drastic is done, the desired peace in Barkin Ladi will be difficult to find, considering the damage suffered by both sides in recent times,” he said. Meanwhile, a group, Plateau Concerned Professionals Forum (PCPF), has urged Lalong to improve his relationship with security agencies saddled with providing security in the state. Governor Lalong, who early this year invoked the anger of the people for his criticism of the anti-grazing law in neighbouring Benue State was, accused by the forum of being complacent. He condemned other security agencies for leaving Operation Safe Haven at the forefront of providing security for the people of the state. “We are particularly displeased with the performance of some security agencies who abandoned their entire work for Operation Safe Haven for reasons best known to them. What about the people specially trained to gather intelligence? Where were they when these terrorists where planning? This is sad and can no longer be tolerated, “he said.The group urged the affected villagers to remain calm and not take the laws into their hands.